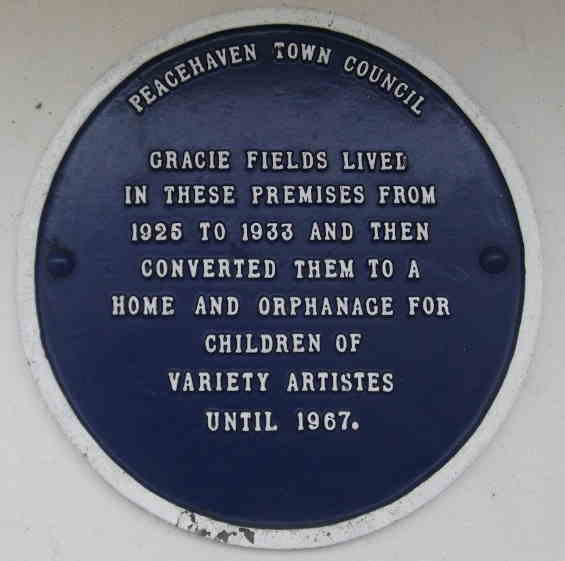 It is said that Gracie Fields bought the house on Dorothy Avenue in Peacehaven for her family in the 1920s. However, they found it too isolated and moved away, leaving the house empty. When the Theatrical Ladies' Guild was looking for help in setting up an orphanage for the children of actors, Gracie gave them the house which was then named in her honour. She lived not far from the orphanage and would pop in to see the children. In 1962, the running of the orphanage was taken over by The Actors' Charitable Trust (which had also run the Actors' Orphanage). In 1967, the orphanage closed.